Note: This feature is currently in public beta, and available for the Starter plan and above. 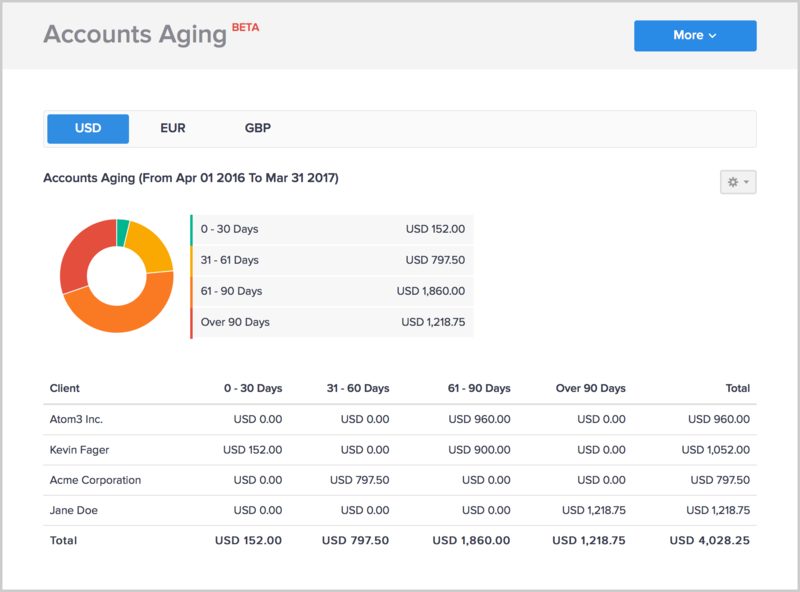 Hiveage generates detailed reports based on the data you have on your account. Hiveage uses the accrual basis of accounting. To access reports, click the Reports link on your main menu. All these reports are grouped by currency. 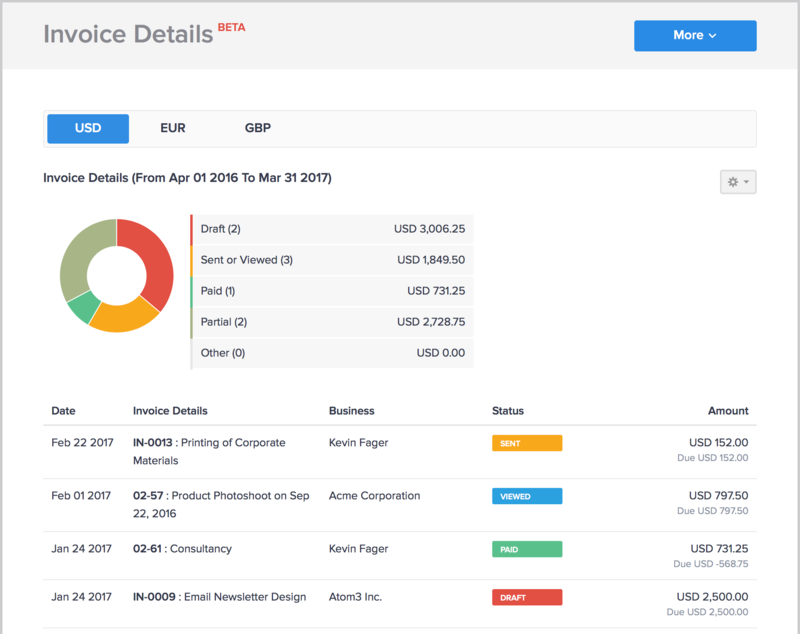 For example, if you have have used both USD and EUR in your invoicing and billing, the reports will have a separate tab for each currency. You can easily export the report in CSV format, or print it directly from within Hiveage, using the More menu of the report. This report displays the accounts receivable grouped by the length of time invoices have been outstanding. Click on a group in the table to view all the invoices in that category (e.g. 31-60 days pending) for the given period. 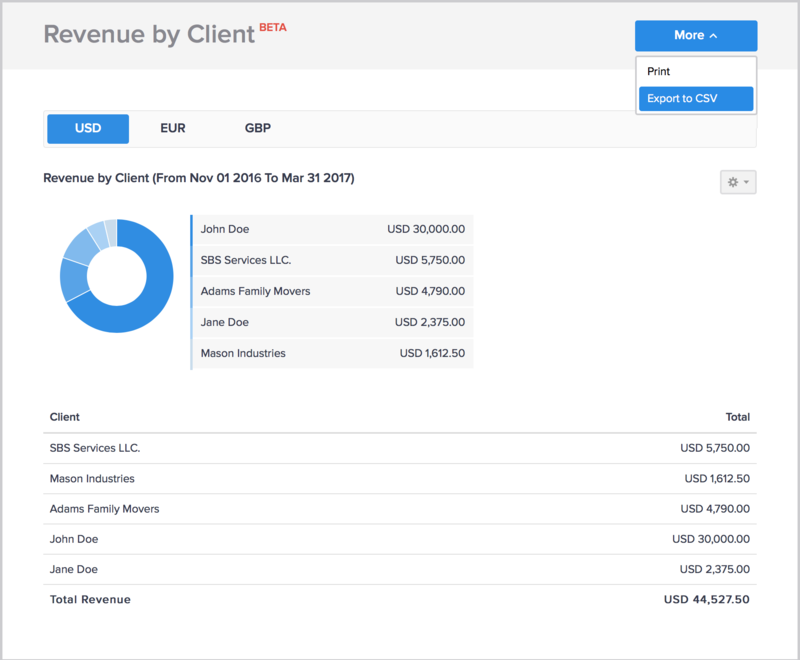 Use this report to view revenue categorized by client over a specific time period. You can adjust the period to the current financial year, preset durations (3, 6 or 12 months) as well as custom date ranges. This report shows the details of all invoices sent over a specific time period, grouped by their status (draft, sent or viewed, fully or partially paid etc.) Click on a group in the table to view all the invoices in that status for the given period. 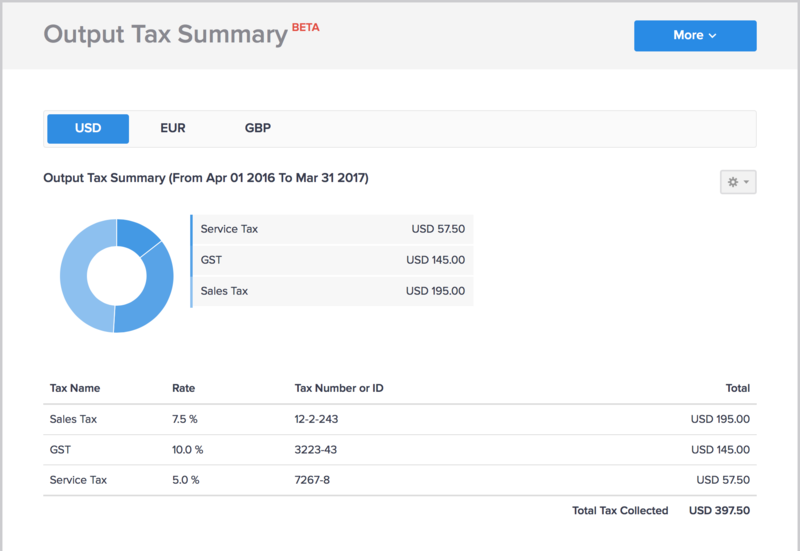 This is a summary of taxes from your sales, grouped by tax, for the specified period. This report offers a comparison of taxes from sales (i.e. 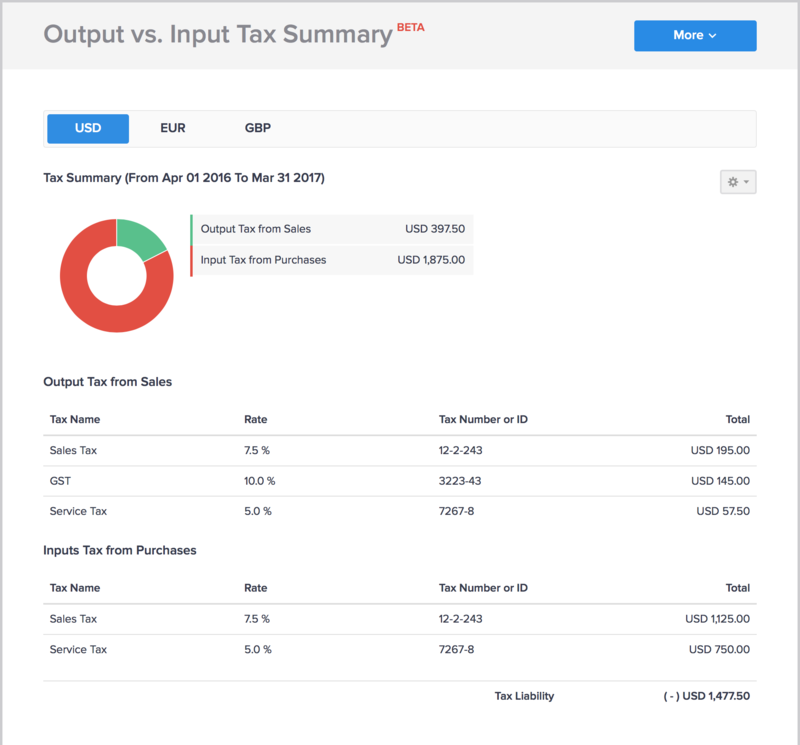 taxes on your products and services) vs. purchases (i.e. taxes paid on products and services you have bought).